There was news yesterday that Mike Ashley’s major retail business that he started back in the 1980s – Sports Direct – has again done very well in the last financial quarter, and the profits have surged because of excellent sales over Christmas. Sports Direct reported quarterly profits of £280.7M, and that was an increase of 14.6% over the previous year, and not surprisingly the shares rose over 5% after the excellent results were announced. Sports Direct revenues for the quarter ended 26th January increased by 11.2% to £655.4M, and the company seems confident of reaching their full-year profits target. So there’s no doubt the company is doing very well and Mike Ashley has the retail giant on the right track of increasing revenues and increasing profits – there’s no doubt that Ashley is doing extremely well leading Sports Direct to substantial growth. And then there’s Mike’s other business – Newcastle United Football Club – but we are not doing as well. To be fair to the Newcastle owner, he has had a positive impact on the financials at Newcastle, and if you only looked at those, one could even argue the club was in fact successful. But unfortunately in the world of football, success is not measured by the financials, but how the team performs on the field of play – and Newcastle have not been too good at that in the last two seasons. If football was based on the financials, we dare say Newcastle would be one of the top four clubs in the Premier League. But we are not and Newcastle will probably just finish above half way in the league – and therefore be in the top ten in the league – but nowhere near top four. Those words from the manager tell you that his way of running the club will never make Newcastle into a top four side in England. What Mike Ashley needs to understand is there is another side of football that determines success – and that’s accomplished by buying good players and keeping them. And by doing that you get a good team that can challenge for trophies, and challenge for a top four position in the league table, and that;s based on how good the team is. That seems to have completely gone over Mike’s head while he’s been at Newcastle, and the future doesn’t look great – at least not if you want Newcastle to be a top four team in England again. It is hard to believe we will replace all the above mentioned players – especially without a DoF or Chairman in place – we need to be planning NOW. As regards Debuchy he signed a 4.5 year contract – he can’t start crying just because his buddy has moved to a different club – man up! Even abied sounds like he wants a permanent move! think we will sign maybe 3/4 and then rely on 3/4 youngsters to step up. Transfer that will probably be what we’ll do… but it is so unfair on the youngsters. They should be gradually included in the team and guided by the more experience players. I fear they will just be lumped in, thrown to the wolves then chewed up and spat out by the club and the fans who will tell them that they just weren’t good enough. I just can’t see Ashley having the will nor the knowledge to be able to rebuild the squad on top of finding a properly suited Director of Football, a MD who knows what he’s doing and a new Academy coach plus any (much needed) additions to the senior coaching staff. Ryan Taylor back at RB next season, Good replacing colo and a strike force of Goody LDJ and Campbell with Fergie on the wings!!! I agree we will be short, just that’s what I think we will do, hope to get by, hope some kick on and if we get to january and are in trouble have a repeat of last year where we buy what we need to stay up. Things certainly look bad on the horizon . Ashly has done that much damage in his time as owner that even if he does sell , the damage will take at least 3 or 4 years just to get back to being a premiership club again . Relagation in the next few years IMO us a cert . We can’t carry on like this year after year and expect to survive . If it meant getting relegated and Ashley selling up, I would be all for that coz something has to give . our youngtsers have improved in vukic/abied/sammy/armstrong and are prob better than the squad players we currently have in marv/ober/gos/shola so i have no problems with them going tbh. however loses to remy/luuk/debuchy/colo/tiote and cabaye who’s already gone will need to be replaced by top class players in order to stay the quality we are without improving the team ! and tbf i dont think remy/debuchy’s quality can be replaced so easily nvm to do it on a budget. 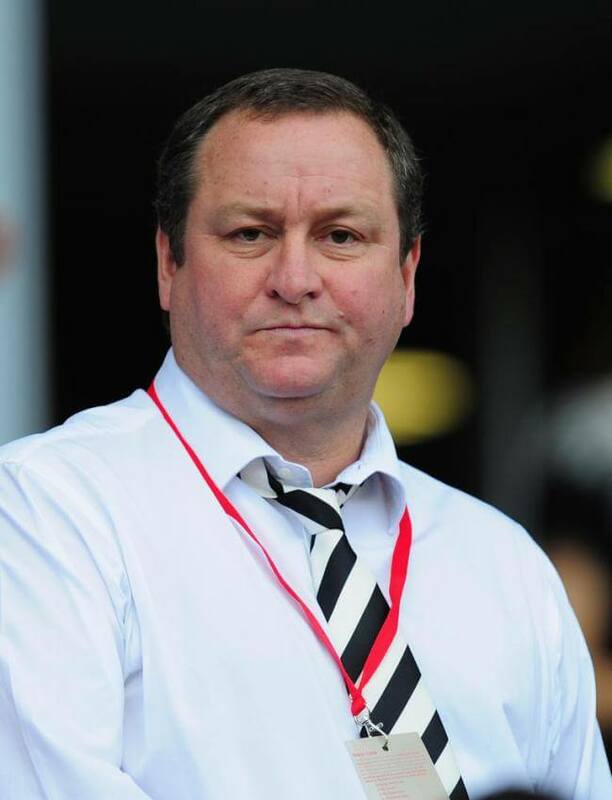 One thing for sure’s contributing to Sports Direct’s onging success is that that business is run by Ashley AND a team of experts in their specialist fields. Whereas the badly and non-forward thinking business that is Newcastle United is run by Ashley! What could be read into the comparitive performance of each business is that either Ashley’s just not taking Newcastle United and its customers seriously and he’s not as clever as some make out without his experts around him. Just think of the potential if NUFC was his main business and he had specialist, football-focussed advisers around him. As it’s been, we’ve had Llambias, Wise, Jimanez and Joe Kinnear! What an array of talent eh; they shouldn’t even be trusted to run a raffle! ‘Confused and Upset’. Poor Mike. Hilarious. Somebody turn out the lights when everybody’s gone. It’s scarcely surprising that Sports Direct are doing well whilst NUFC are struggling. Everything about Mr Ashley is focused on promoting SD. All other areas that he is involved in are there merely to support his main business. At NUFC he has free advertising of SD at the ground, and he is also able to be paid (TV revenues) to hawk his SD goods to a world wide audience. That’s all we are to him, a revenue stream to be exploited. He is quite happy maintaining the status quo provided the season ticket sales and profits in the transfer market mean that we don’t act as a deadweight on his overall profits. Frankly I’ll be glad to see the back of him. But if he were to decide to apply a more professional approach to us, namely appointing people with actual football knowledge to run NUFC, I’d give him more time to see what happens in the longer term.